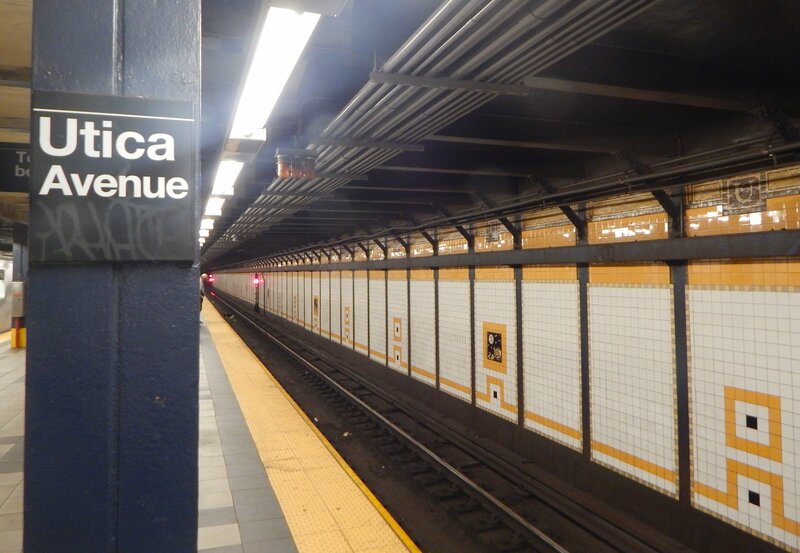 A study examining the feasibility of extending Brooklyn’s Utica Avenue subway line has finally launched, NY1 reported. As part of the Utica Avenue Transit Improvement Study, the Metropolitan Transportation Authority and the city will look into extending the 3 and 4 train south of Eastern Parkway in Crown Heights to neighborhoods like East Flatbush and Marine Park. Funding for the study has been in place since 2015 when Mayor Bill de Blasio designated $5 million for it as part of his One NYC plan. The idea for an extension of the Eastern Parkway line was first proposed in 1910, and later revived in 1928 and 1970, but failed to advance each time. But four years ago, the de Blasio administration renewed interest in the project because of growing ridership in that part of Brooklyn. The bus route of the B46 Select Bus Service, which launched in 2016, runs along Utica Avenue and carries 44,000 people each day. The subway station at Eastern Parkway and Utica Avenue remains one of the busiest stations in the borough, serving roughly 29,000 people each day. Improving transit service to parts of South Brooklyn has not been a funding priority for the state. Gov. Andrew Cuomo has looked to larger projects, like opening the Second Avenue Subway line, the East Side Access project, and the LaGuardia AirTrain. The MTA plans to study a variety of transportation options for the area in addition to the new subway line, including faster buses and adding a light rail line. The agency will begin talking on Monday with local officials and residents as part of the feasibility study process.